Camden Street has just got a slick new venue, unlike anything else in the city. Brought to you by award winning chef Karl Whelan, executive chef of John Farrell’s Luna, and his best mate and business partner, gig guru Will Dempsey, is an exciting new concept. Hang Dai an authentic Chinese, in a unique setting with an impressive cocktail list on the way and late bar promising some of the best DJ’s in the business. Much of the influence comes from Whelan’s time in Luna creating food that is true to its heritage but still feels edgy and up to date. 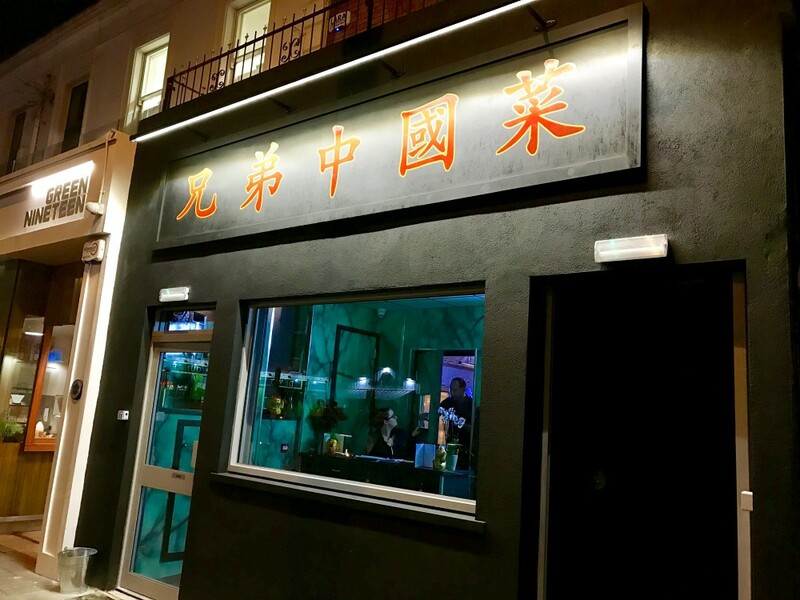 From the outside you would easily pass by the black facade with red and gold traditional Chinese lettering, designed by well known sign maker Vanessa Power, reminiscent more of a takeaway than restaurant, but that is the intention. It’s all about the element of surprise as you walk in through what looks like your local; expecting a spicebag and instead are led behind plastic strip curtains that reveal a heaving room with open kitchen, glazed ducks hanging and what looks like they have planted a Honk Kong subway to the left of the room, with diner style booths and neon signs overhead. Even the ceiling, with its club like, colour changing panels and impressive sound system have a seedy casino bar feel, we almost expected to see a few shady figures throwing dice down the back, perhaps next time. Whelan, who hopes to have a full liquor license this week, as currently they are only serving wine and wine cocktails, plans on having DJ’s on the weekends and inventive Chinese inspired cocktails and wants Hang Dai to be somewhere you will not only eat great food but soak up a fast paced, fun atmosphere with some good tunes well into the wee hours. We arrived without a booking chancing our arm, unsurprisingly they were full to capacity at this is one of the most hotly anticipated restaurants of 2016 but we were more than willing to wait the hour for a table and popped right across the street to Camden Exchange for a quick drink until all was ready. Once inside it is easy to see the draw, when you walk into a new venue and can see lots of happy faces, interesting dishes flying past and feel an electric atmosphere you know Whelan and Dempsey are onto something special. We sat at the bar, which is almost the length of the room and designed as much for food as it is drink. Service is warm with many familiar faces from Fade St Social, who are well used to busy service and know how to create a fun environment while getting the job done. We chatted to veteran bar manager Gill Boyle, who is just back from London having worked in some of the best cocktail bars in the city. Although many may know her best from her Fade Street days, she explained how she is itching to put her mixology skills to the test hopefully next week and by the sounds of it there is some cocktails that will definitely “blow the cobwebs off” in the pipeline, especially if you like rum. In the meantime though we had to settle for two glasses of more than adequate Wiilowglen Gewurztraminer – Riesling (€7.25) from New South Wales, a zesty, crisp wine which would work well with any of the dishes on offer and just happens to be from one of the best winemakers in Australia – De Bortoli. Hang Dai have only 10 whites and 10 reds on offer but the list is well thought out, keenly priced and every bottle is available by the glass which we loved. The menu is well spread out with small snacks if you fancy something light, sharing plates, Apple wood fired oven Skeaghanore duck served in three ways and sold either 1/2 duck €40 or whole €80, which is utterly delicious and glazed to perfection in a secret hoi sin sauce. 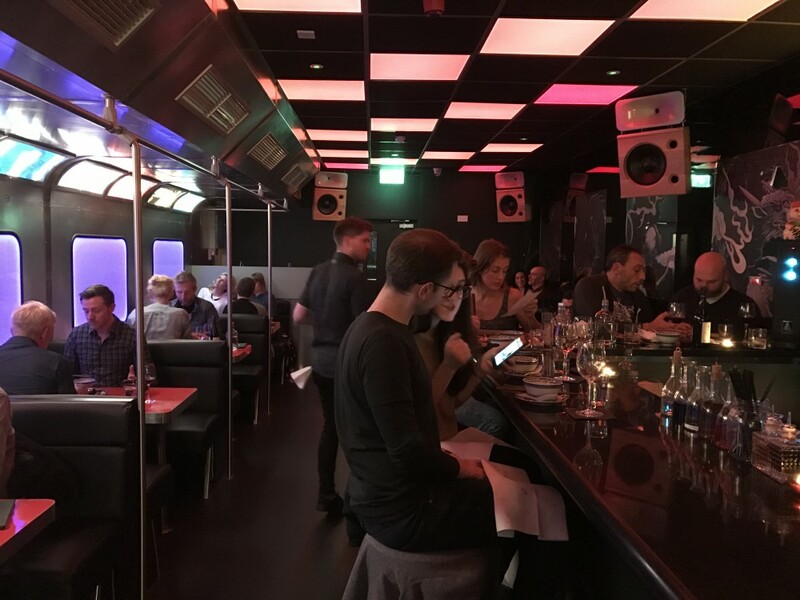 The more diverse options come from their “Wok & Steam” menu with dishes like Beef Cheek in Chilli bean Sauce (€17), Steamed Sea Bass Ginger Soy (€25) and Szechuan Kung Po Chicken (€18). 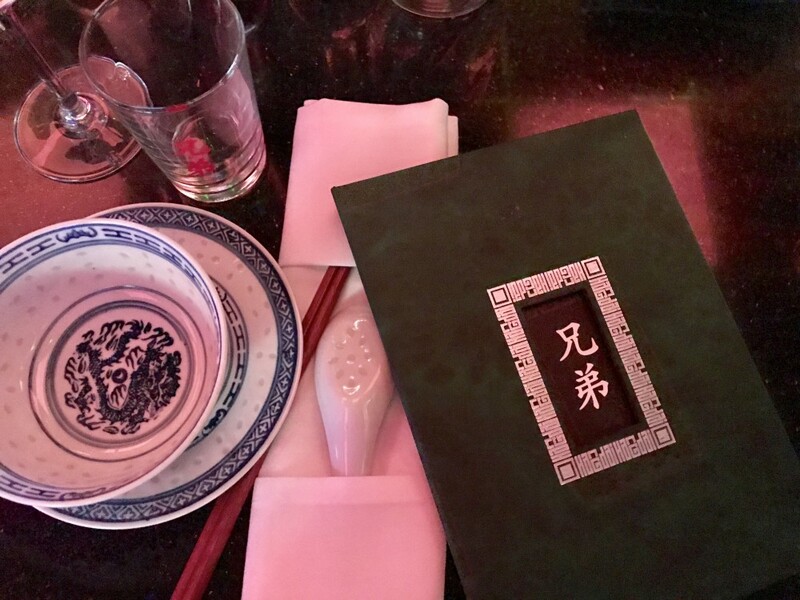 Unlike many Chinese spots Whelan has resisted the urge to have a myriad of options, instead focusing on some core dishes that are expertly executed and have been meticulously researched. 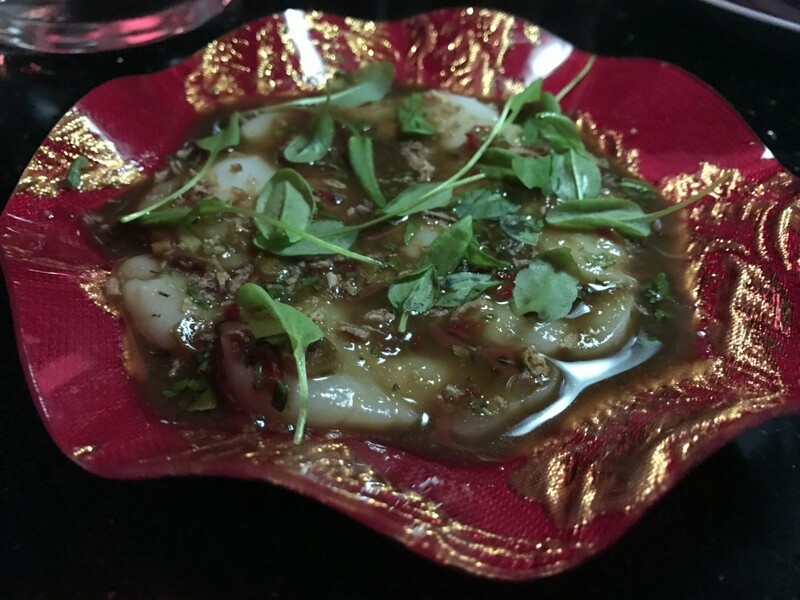 We kicked things off with some thinly sliced Scallop Ceviche & Soy Beans (€12) and which were floating in a beautiful spicy soy dressing which has just the right amount of heat to set the tone for the night. 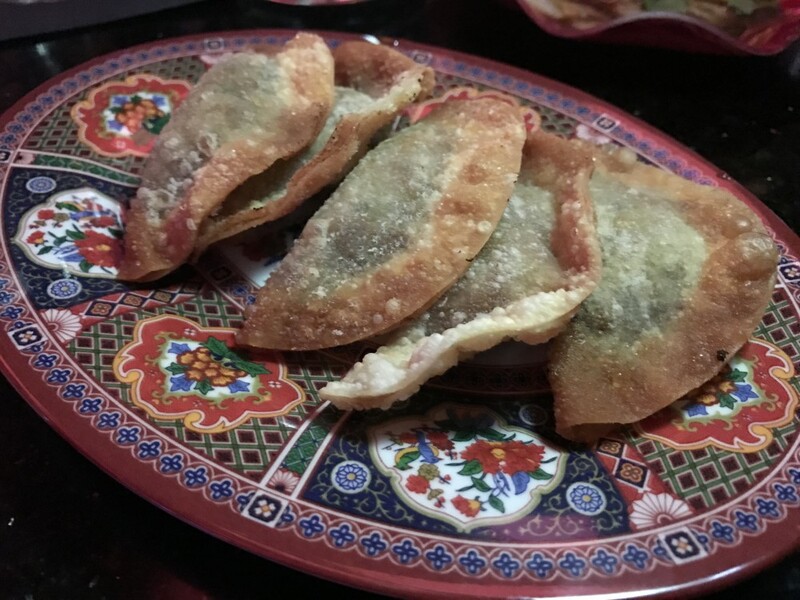 Next up was a one of the first things that jumped out on the menu, Crispy Roast Duck Dumplings (€6) those of you who remember Findus cripsy pancakes may be getting shivers down your spine, but fear not these are off the charts on the taste scale. Duck is where Hang Dai excels and this simple starter is authentic, flavoursome and may cause chopstick wars, you’ve been warned. As we had just sampled some of the duck we decided to stick to the “wok & steam” section for mains. Exploding prawns (yes you read that right!) 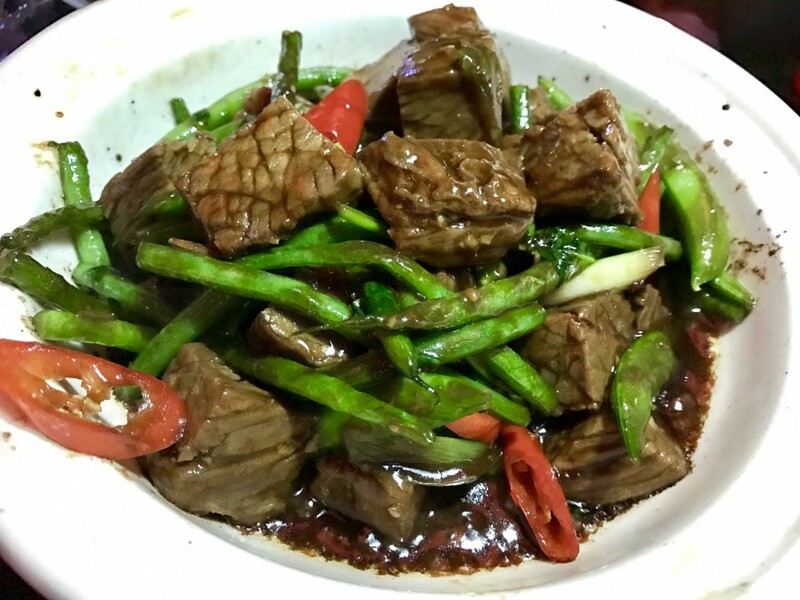 will always catch your attention but on our server’s suggestion we opted for the Beef Hotpot with Mangetout & Green Beans (€26) succulent and poached to perfection, this is a dish on first bite will have you moaning and groaning with pleasure. 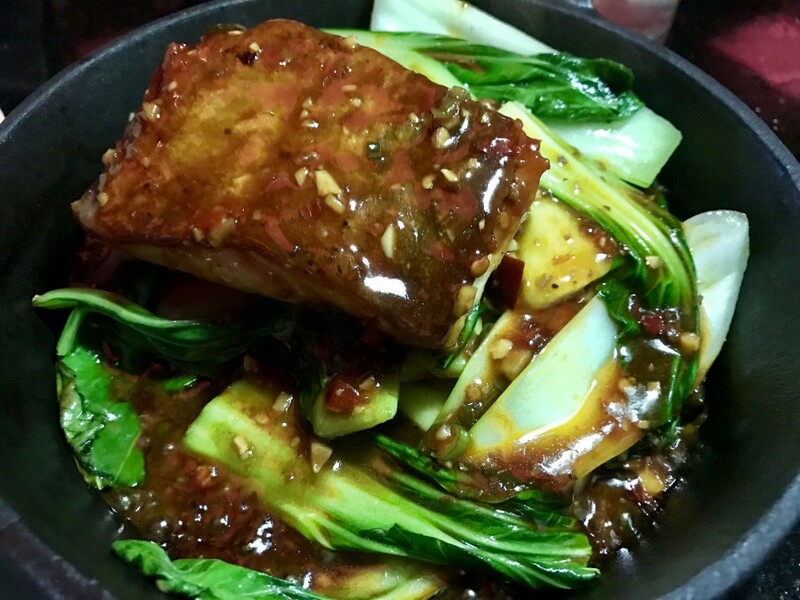 Next to the hotpot sat a Roast Cod (€25), glazed in a ginger spice sauce which was drizzled over some pak choi, chinese leaves and chopped bean sprout. The common theme throughout all dishes are the explosion of flavours that instantly excites the palate. Trying to identity each ingredient in the sauces alone will prove a hard feat, such is the complexity of each mouthful. 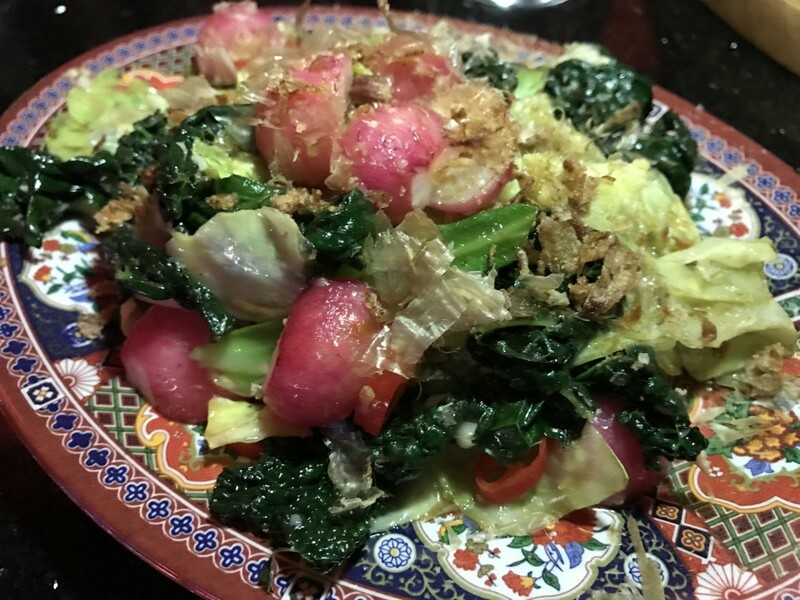 We ordered two sides, in hindsight one was more than substantial, but we would recommend the Stir Fried Sweet Cabbage, Black Kale(€8), which includes radish with chilli and garlic gently running through it. Large enough to act as a enjoyable veggie main if don’t fancy partaking in the duck feast. Hang Dai don’t do desserts nor do they need to. Instead of loosening the trouser belt these guys want you to sit back, soak up the atmosphere and sip the night away. We may come across slightly gushy in the piece but who cares, this place has just lit up the restaurant scene and raised the bar to a whole new level for ethnic dining. This is about to become the most in demand restaurant in the city, start beating a path now while you can.